Thousands of evacuees from Hurricane Harvey in Texas are in need of supplies for babies. 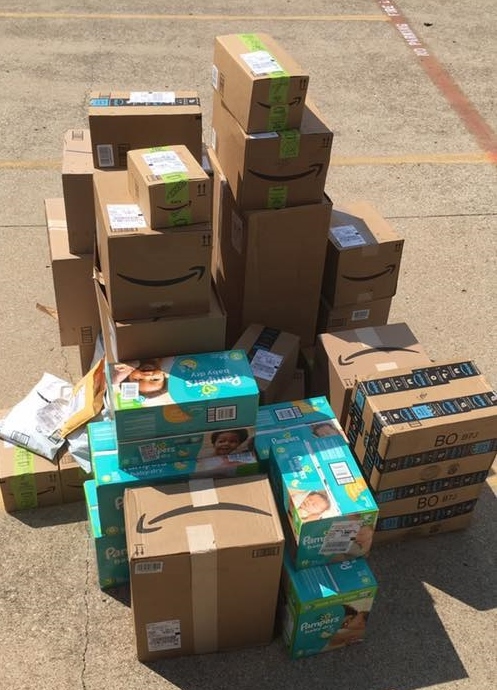 After speaking with the Junior League of Houston and the surrounding Junior Leagues, the Junior League of Greenwich created an Amazon wish list of baby items that where shipped directly to the Junior League of Arlington, where more than 5,500 evacuees from Houston have relocated. Junior League of Greenwich members and friends have lovingly purchased over 300 items amounting to over $6,000 worth of diapers, bottles, formula, wipes and onesies. These items shipped directly to Arlington and the first packages arrived on Friday 9/1! Thank you to everyone who made an impact by sharing the post on Facebook, placing an order and supporting our neighbors in Texas. We are one League and one Nation.